Again a nice Christmas Wine. 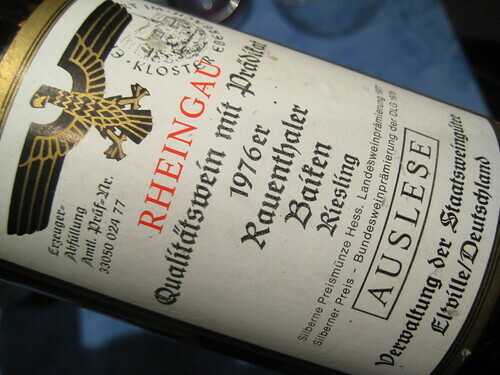 This old Riesling from Hessische Staatsweingüter (State-owned wineries of Rheingau) showed of course strong signs of maturity but did not at all seem old. Golden colour, aromatic nose, tasty body with bitter orange notes and a certain freshness, slight acidity. Perfect with cheese!